You can’t be everything to everyone – and you shouldn’t try to be. Instead focus your attention and energy on a particular service or industry. The more specialized you are, the more success you’ll achieve. You’ll become a famous person for specific services or your expertise in a particular industry will become sought after. This specialization will also allow you to be very targeted in your marketing efforts. Without knowing your audience, you run the risk of spray or rapid fire marketing (where you might fire a lot of bullets, but very few of them hit their target). Such marketing can be costly and produce lackluster results. 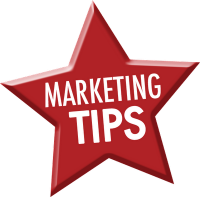 It also limits your ability test your marketing message and materials. To help you identify your target, look at your current client base and service offering. For example what services generate the highest revenue per client? What industries are your top clients in? What specialized expertise exists in your firm? Once you’ve identified a potential niche service or industry, start reading the appropriate literature to help further your knowledge of the industry. Don’t know where to start – ask your clients, they’ll tell you, and they’ll be delighted that you’re showing more interest in their business. Think about joining the local association and explore opportunities to speak at their events and demonstrate your expertise. Another great way to build your profile is to join online groups and forums and participate in the discussion. Now you have an opportunity to build your profile on a global scale. This targeting will definitely make your firm stand out from the competition.